Great episode and great blindside. Far and away the best episode of the season. We had a greater representation of the cast's perspectives on the game and a great blindside. Ron and Eric were way too cocky for my liking. I'm sorry threatening people with the loved ones visit is a little too far for me. Only gripe is that EoE was the weakest part of the episode as it is pretty much advantage island. 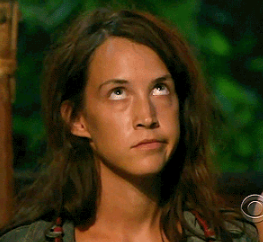 Probst said that EoE would show how far the people who stayed will push themselves. We haven't seen that. I'm really puzzled by this decision from Julia, Gavin and Victoria. While I agree with blindsiding players like Eric and Ron before they get too powerful (and thank goodness the Kama 7 broke up, obvious alliances are boring), it really did not make sense to do this now from a numbers perspective, and Victoria even pointed that out. Aurora obviously has no trust in them and Lesu have four tight members. The best shot that they're going to have is to try and reconcile with Rick, Ron, and Julie, and hope that none of those three people has a grudge. If they can't do that, it's probably curtains for Kama and we're most likely looking at some kind of Lesu underdog victory. Lesu winning wouldn't even be a bad thing except that it's sort of hard to root for them. They're in a bad spot because they made pretty terrible strategic decisions over and over, and it's a bit hard to feel sorry for them after that. I laughed really hard when Wardog tried to pull Rick in and Rick just completely shut him down. Kelley had more of the same thing. Like, yeah, you talked smack about Rick and how you wanted him gone and hated that he came back, and when he tried to reconcile with you, you tried to vote him out immediately. Now somehow he's a jerk for point-blank refusing to work with you? Then she sits down for a confessional about how stupid Lesu are for not being unified. What exactly do you expect when your first move is to try and backstab two out of the five members of your tribe? It was a better episode that Lauren was gladly okay by being passed out where she was fine. I am waiting for a biggest blindside next episode that either Kelly or Lauren will play their respective idols. 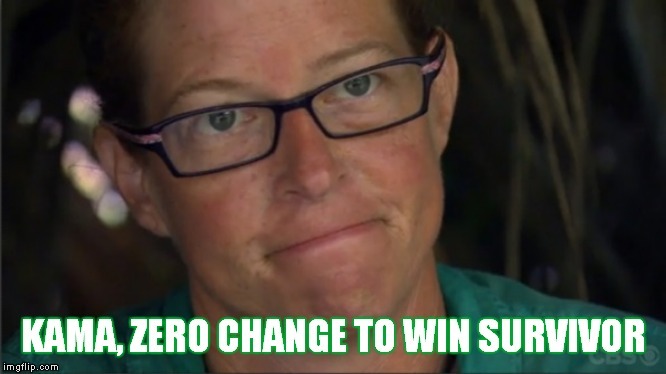 This latest episode is the biggest tribal reaction in the season. Kelly and Lauren both have wasted that didn't use their idols. Kama Strong is dwindling down. First episode I was actually impressed by Kelley. Lesu played this excellent, and Ron/Julie just played their hand pretty badly - I don't think losing Julia now is good for them. Does anyone have a link to the entire tribal? I’d love to rewatch it. Really though, all returnees gone before the F8? That's unheard of. Good on them.